I have been having a lot of fun making my very own Christmas Calendar in my little kitchen here in 2011, just like they do in TV ! Well not in my kitchen, but perhaps an idea for the upcoming 2012 for Brødrene Price ? I am sure Hannibal the Cat would become a fantastic fur star, and I am myself just like the brothers a dedicated fan of using butter, plenty of butter in my cooking and baking. 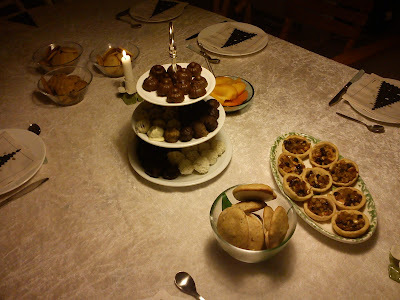 So from this I will make the conclusion, that you are great fan of Christmas confect containing plenty of marzipan, German style Christmas cookies like Lebkuchen (not being perfect at all - here I am on the look out for much better recipe) and alcohol !!! I assume this profile is fitting 120% of most of us Danes. I have a small survey (poll) running another 24 hours, so until the very end of 2011, if you were following this Christmas Calendar of mine and if you would like me to create a 2012 version of a similar Christmas Calender. I will be making less confect in the 2012 version, as I completely filled up with all this Christmas confect !! 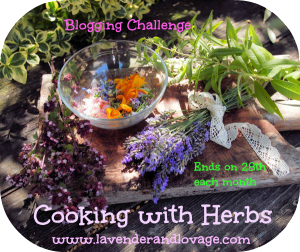 I have been thinking about making family recipes from around the world and/or Denmark, which work colleagues as well as friends would like to share with you in my little kitchen. So use your freedom to share your opinion on Christmas Calender 2012 either through the on-going poll and/or leave a comment here on this specific blog posting. If you are in a surplus situation of marzipan after Christmas I would suggest, that you try to make your own marzipan cake (kransekage) for the fast approaching New Year 2011. Home-made marzipan cake just taste so much better compared to the cakes, which you find in the supermarkets or at the baker´s shop. Another benefit of making your own marzipan cake is, that you can control the sweetness in the final cake and hereby adjust it to your preferred sweetness level. I find the sweetness level to be too high in the marzipan cake, which you are buying in the shops. And please remember to serve the marzipan cake with a sweet type of champagne or sparkling wine, as the combination of sweet marzipan cake and dry sparkling wine is a taste killer. 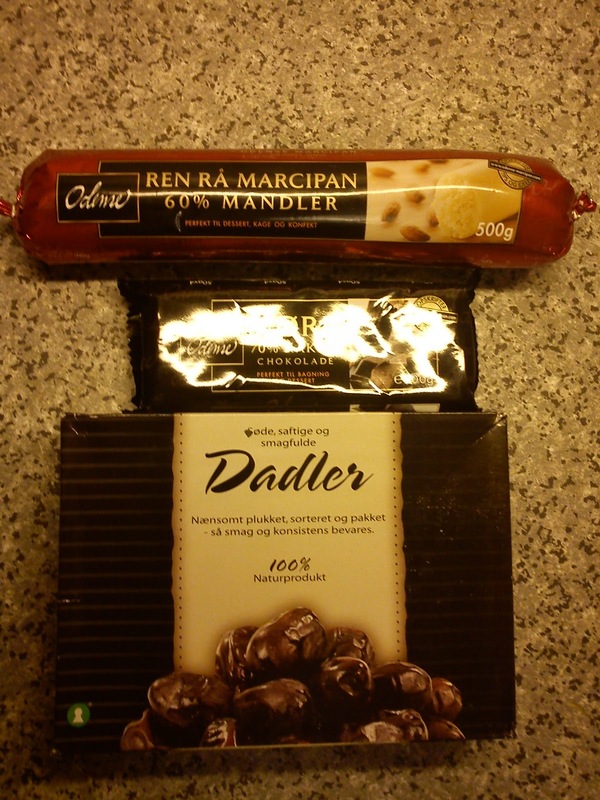 made from either the plain marzipan or the cocoa marzipan. marzipan orange cakes or with an extra little twist in of orange flower as here marzipan orange cakes with orange flower. 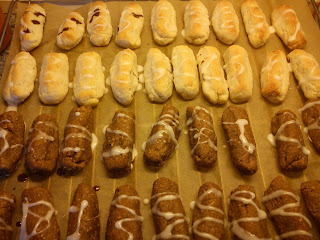 These baked marzipan confect is my final suggestion to you to try at New Year´s eve tomorrow. As it will be my last working tomorrow !!! 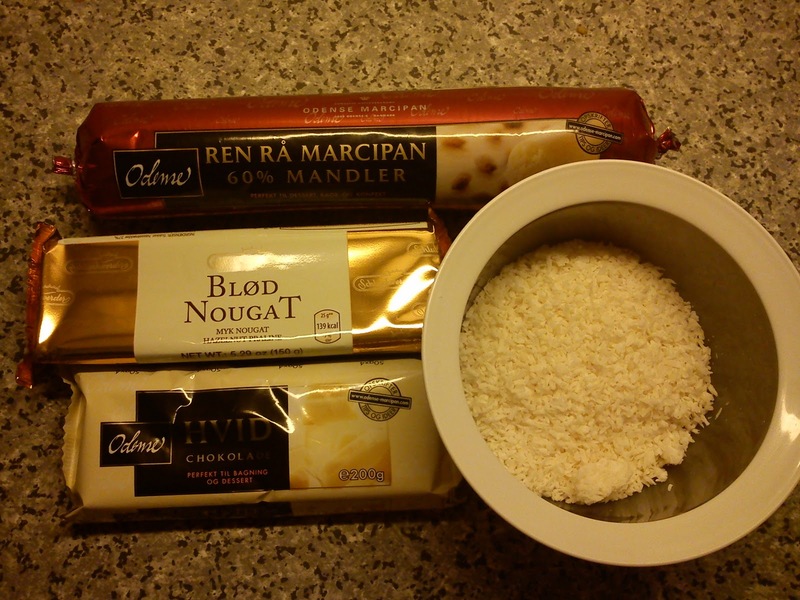 well my last working day in 2011, I have decided, that I would bake marzipan cake as a New Year treat for my colleagues tomorrow. My inspiration was to use the red coloured forest fruit marzipan and decorated with white icing sugar, so making marzipan cake in the Danish national colours !!!! Well the red colour disappear from the surface of the marzipan cake during the baking process. 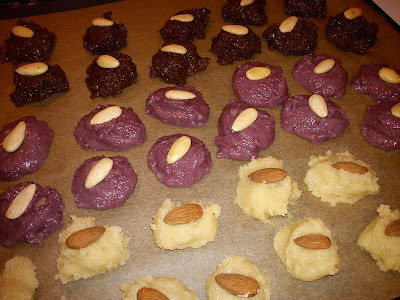 However, when you take a bite of the marzipan cake you are able to see the Danish national colours again in form of the red coloured forest fruit marzipan and rough white pieces of almonds. Therefore I decided to name this recipe DANISH marzipan cake. 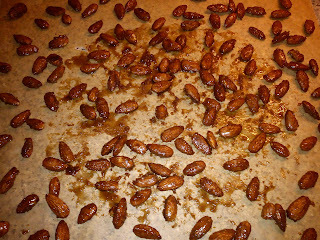 Slip the almond. And grained them into flour using a mill. Knead the marzipan, almond flour, icing sugar and egg white together. 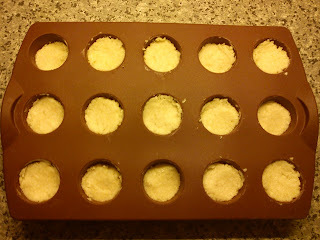 Divide the marzipan cake mass into 20 pieces of equal size. Form the marzipan cake mass into a longer sharp. 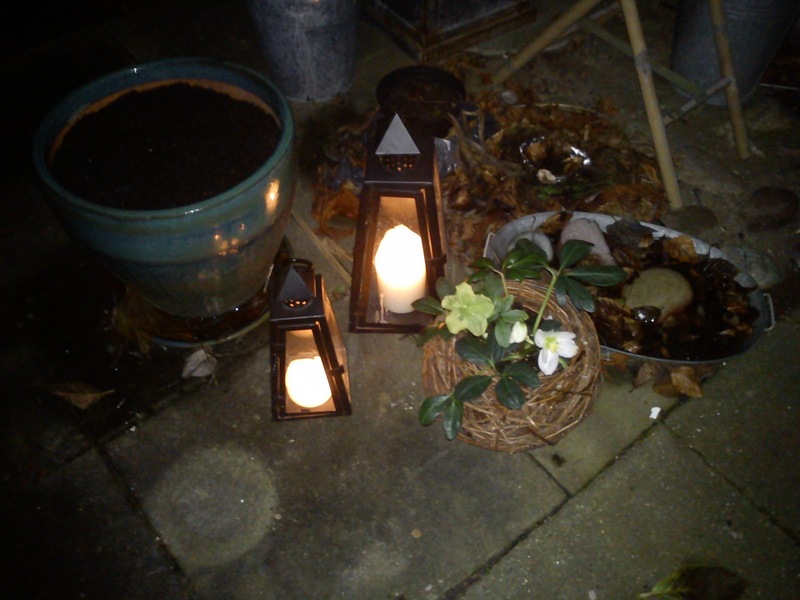 While I was preparing the house and the dinning table for my guests coming for Christmas lunch Tuesday this week, the weather was just like a wonderful spring day full of sunshine. 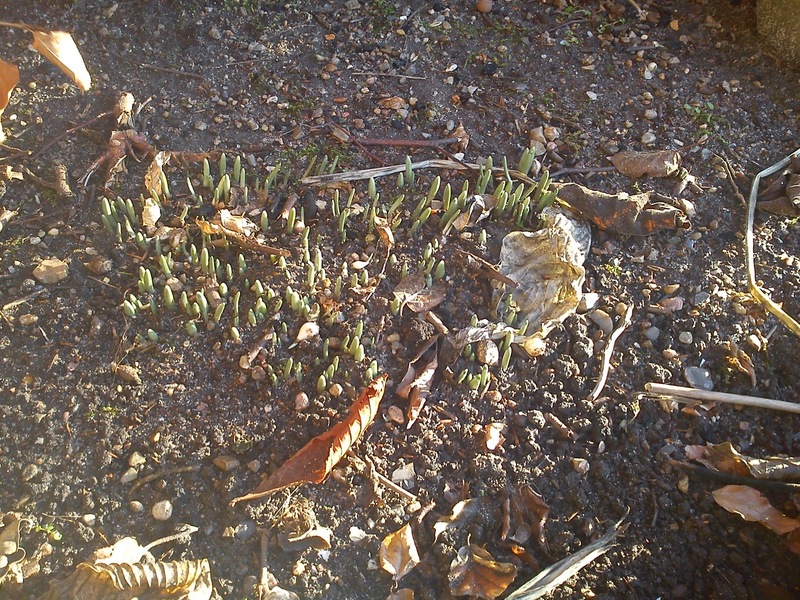 And I noticed, that two out of three places, where I have planted various snow drops during the last couple of years, were showing "live" in form of snow drops getting ready popping their "heads" above the earth. 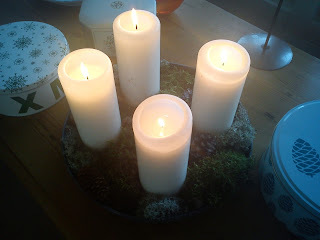 I have found this recipe on juleorangeade on the blog "Himmelske kager", and it look very interesting, so I decide to try it out in connection with the Christmas lunch yesterday. 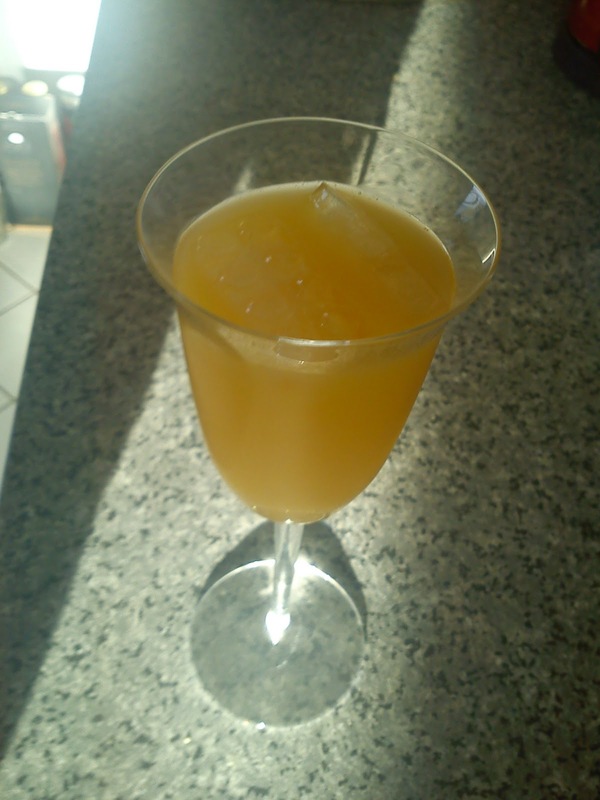 This Christmas Cocktail does not have any spice flavour at all, but the taste is excellent being a mix of Christmas spices with the freshness of orange juice. And my girl friends found it to be quiet a good cocktail having a perfect Christmas profile without being dominated of the Christmas spices. Slice the orange into thin slices. Add water, sugar, orange slices and spices into a cooking pot. Heat the sugar liquid to the boiling point. Let is softly boil for 3-4minutes. Remove the spices from the sugar liquid. Use the orange slices for decoration of the cocktail glasses. Mix the sugar liquid, orange juice, vodka and Cointreau together. Serves in cocktail glass with plenty of ice cubes and orange slices. 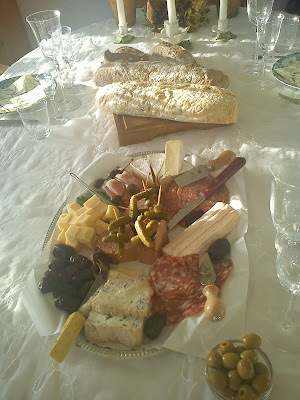 As we found the cheese tapas from Osteriet Vejle to be a nice alternative to the traditional Danish Christmas lunch, my girl friends and I decided to repeat last year menu for annual Christmas lunch get together. Perhaps the menu was not dominated by Christmas, but the "liquid food" had enough Christmas character to make it "real" Christmas lunch. This Christmas lunch is for me is relaxing way of putting a closure to Christmas as well as looking forward to an approaching 2012 in the wonderful company of some very good girl friends, while talking, laughing, eating and drinking. I have some great girl friends in the local area, which always comes around, when I need a "helping hand" or perhaps the correct wording is "helping mouth" removing calories from my kitchen ! 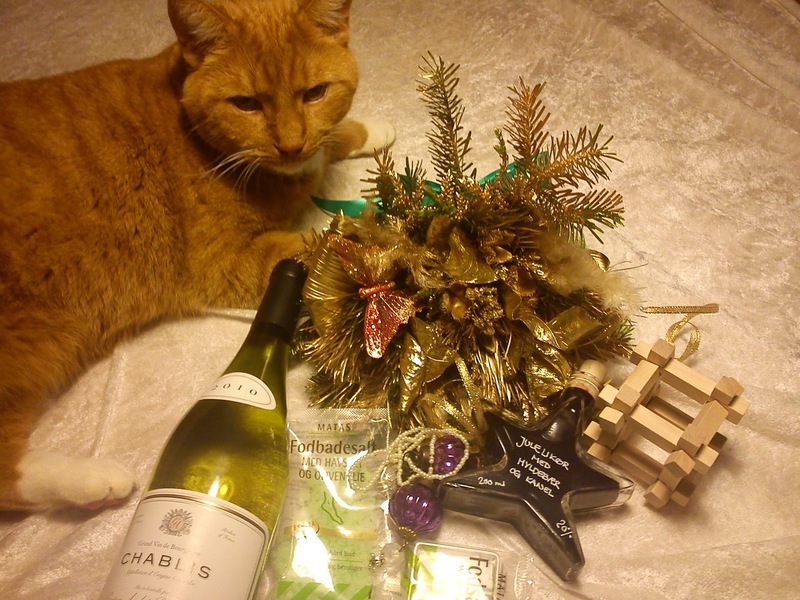 So 4 days evening before Christmas Eve, 8 wonderful friends came banging on my front door with their hands full of some perfect hostess gifts like white wine, Christmas liqueur, some Christmas decorations and food care products. Today the Christmas aquavit is ready for Christmas, which is now is standing in front of all of us. 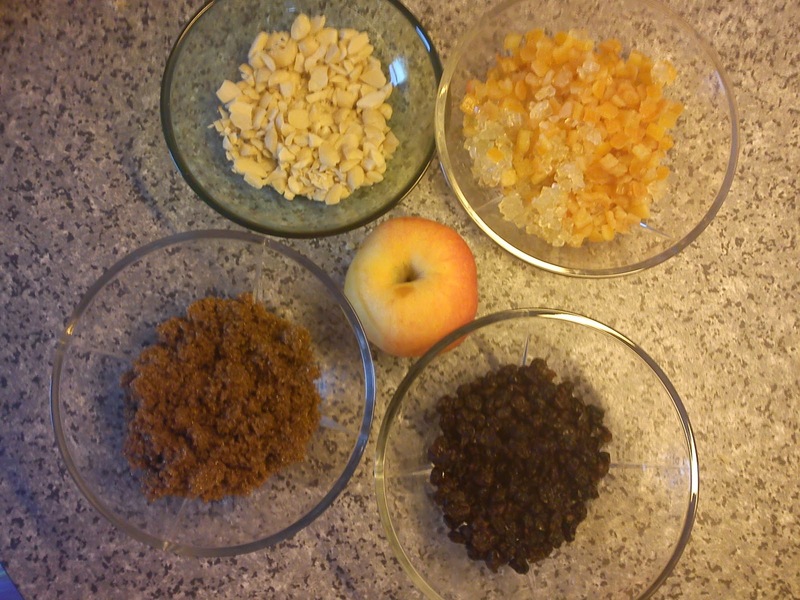 So today I have removed the orange peels today and pour the aquavit into glass bottles. The flavour notes are wonderful. 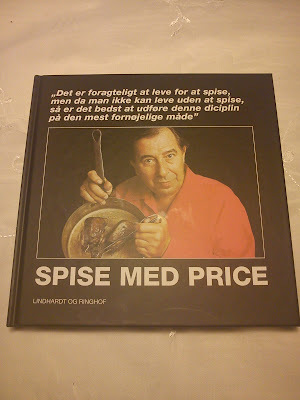 I prefer to drink aquavit either cold or very cold, meaning taking the aquavit from the freezer just before drinking it. Since I was a little girl I have been loving to eat buns with a combinations of raisins, orange peel and sucat. 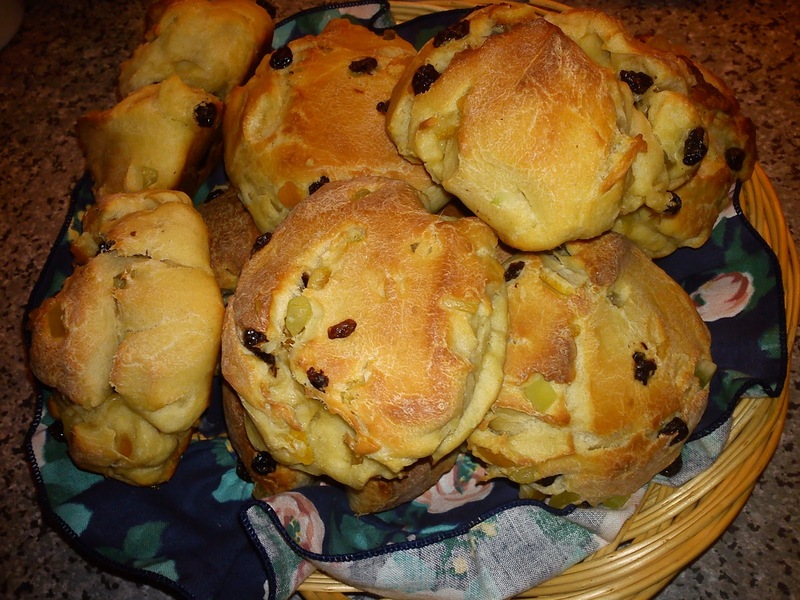 So when I found this recipe in a magazine, I teared it out of it and since when it have one of my favourite bun recipes. Let the dough rest cold for 8-12 hours. I am not a big fan of red white, so therefore I have preference for mulled wine based on white wine as well. And for a gathering of friends I decided to try a combination of white wine and apple juice in a ratio of 1:1, so it is more "friendly" for the people needing to drive a car afterwards. In order not to a too sweet mulled wine, I decided not to add extra sugar and I also decided to use a dry white wine. 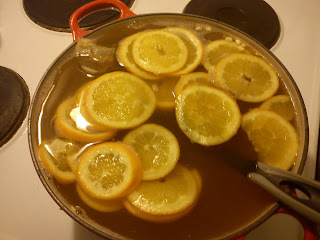 My guests found this mulled white wine to be quiet refreshing. 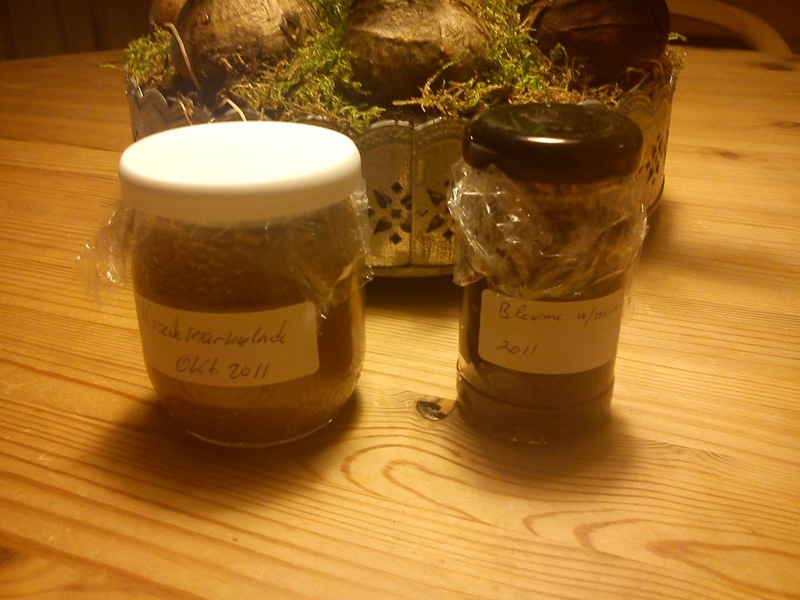 Last year I also made mulled white wine using a combination of both elder flower cordial and apple juice, which you can find here. 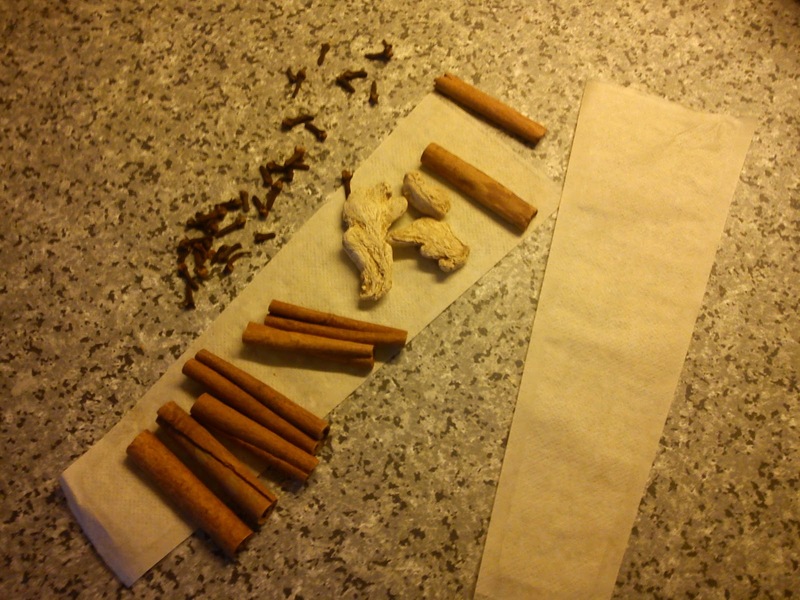 Place the spices in larger tea bags, so you have them under control. Heat up the apple juice together with spices to the boiling point. 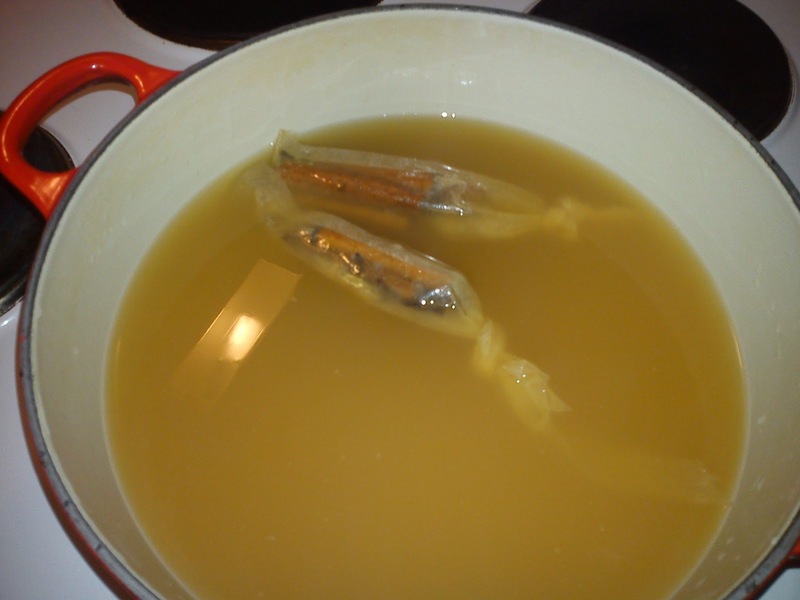 Place the apple juice cold for 12-24 hours. Add the white wine and slices of oranges to the apple juice. Heat up the mulled wine, do not let it boil. 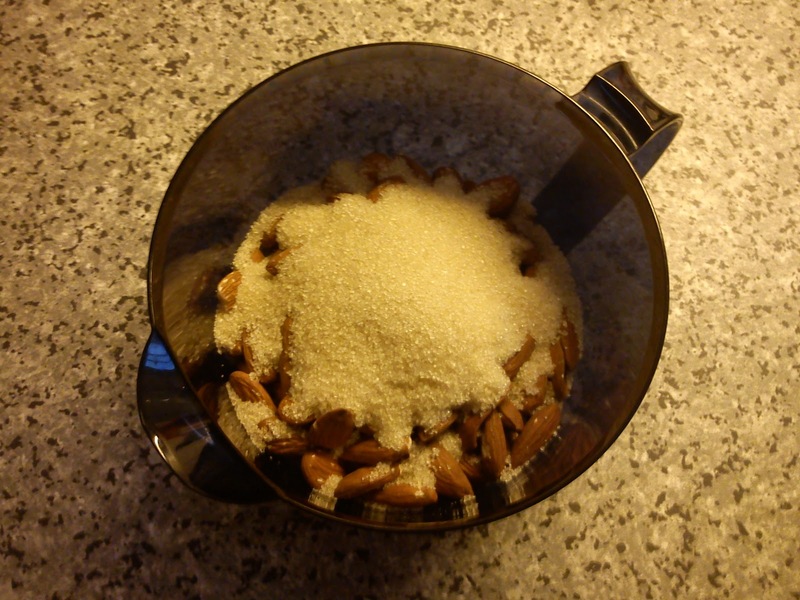 Serves in glass or cup, where people individual can add almond splits and raisin according to their preference. I found the recipe on Chokokos in a Tupperware brochure. 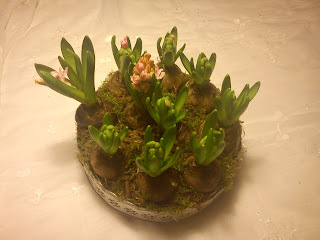 As it looked relative easy to make, I decided to make a go at it. 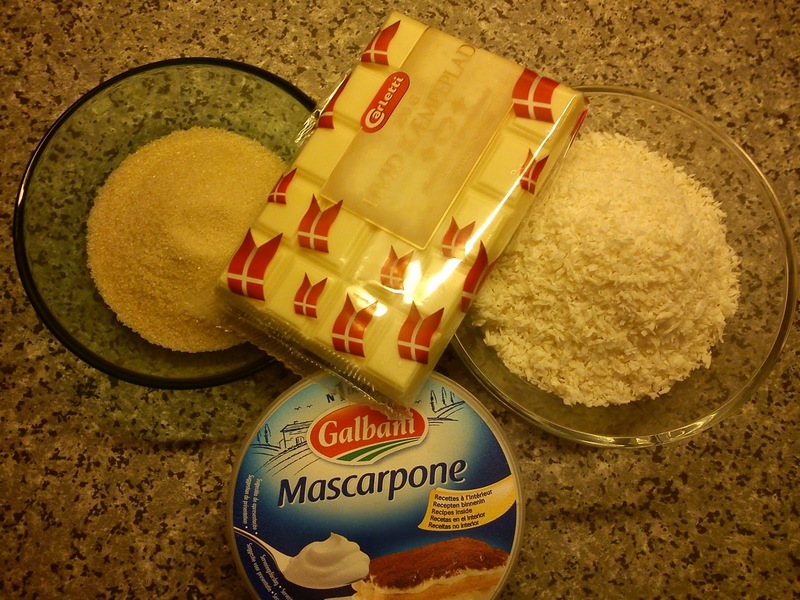 As you using Mascarpone (Italian cream cheese) in this Christmas candy without any cooking involved, you need to store it in the refrigerator and I evaluated the shelf-life to be maximum 1 week. So it as close as possible to Christmas or the actual eating occasion. The Chokokos has a pleasant taste of coconut, the sweetness is OK, but they could not be sweeter according to my taste bud. 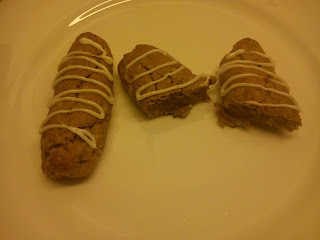 It is a difficult to taste the white chocolate. A twist to this Christmas candy could be remove the white chocolate from the recipe and instead of coat these coconut bites with either milk or dark chocolate like Bounty chocolate ? Melt the white chocolate - I use the microwave oven for this purpose. 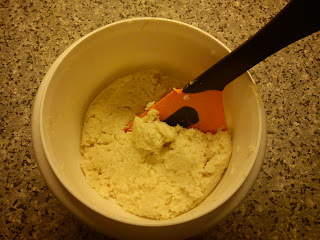 Add the Mascarpone cheese into a mixing bowl and whip it. Add sugar and whit it into the Mascarpone cheese. 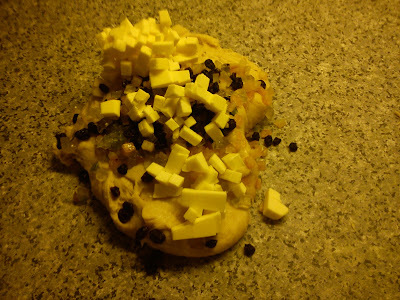 Add the melted white chocolate and whip it into the mix. 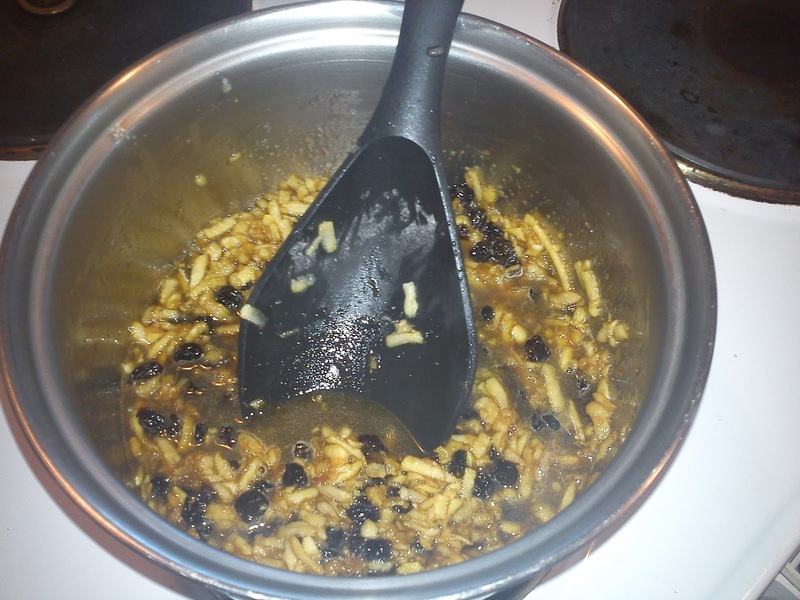 Add the desiccated coconut and stir it well into the mass. 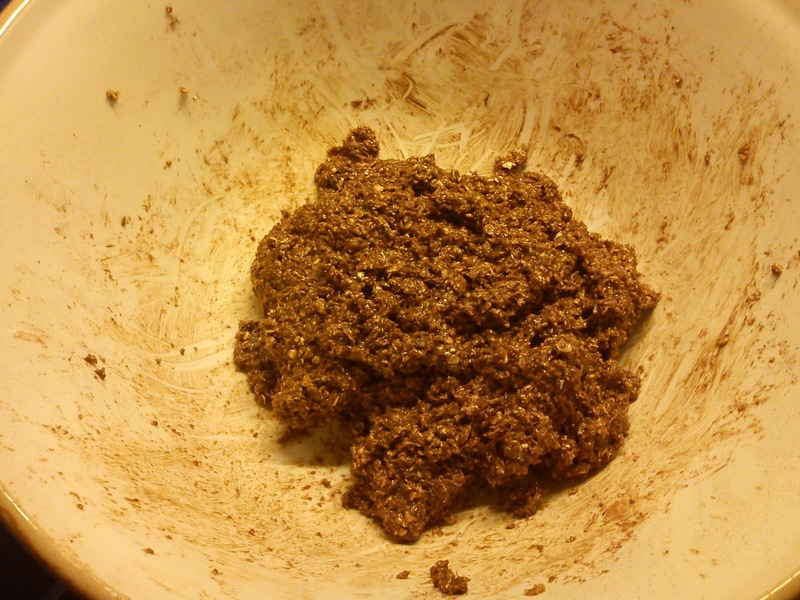 Fill the mass into a silicone form. Place the silicone form in the refrigerator for minimum 4 hours or the night over. Remove the Chokokos from the silicone form. This the very first time, where I have been making my own Christmas Mince Pies in my kitchen. 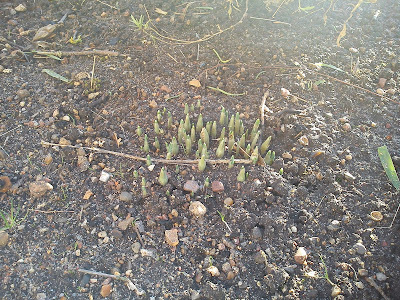 I recall them back from my time, when I was living in England. And I remember the first times, when I heard and saw the wording "Mince Pie", I thought it referred to pies with minced meat !!!! 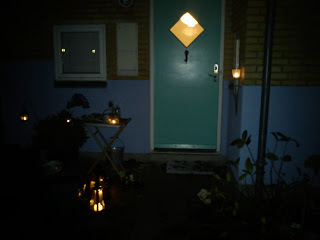 !, and I did not understand people obsession with these pies during Christmas. 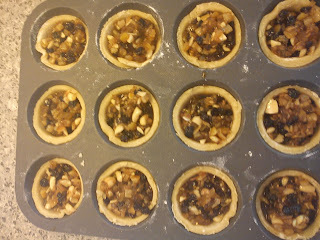 However, luckily enough I got the understanding of "Mince Pie". 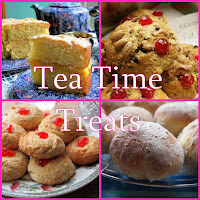 During Christmas time I found, that you could participate in blog event called "Tea Time Treats", which is hosted by Kate from What Kate baked and Karen from Lavender and lovage. 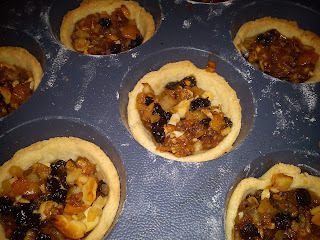 So I decided, I would participate with this recipe on Christmas Mince Pies. Make the pie dough from the butter, flour, sugar, vanilla sugar and egg. Let it rest cold for 30 minutes. 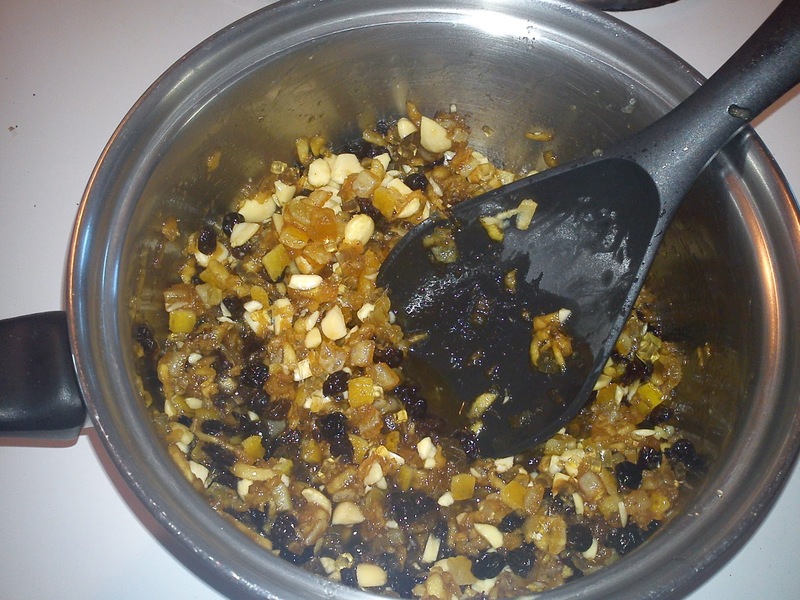 Melt the butter in a cooking pot, add orange juice, raisins and brown sugar. Heat the oven (conventional) to 185'C. Roll the pie dough to approx 3 mm height, cut it into a circles of 7 cm. 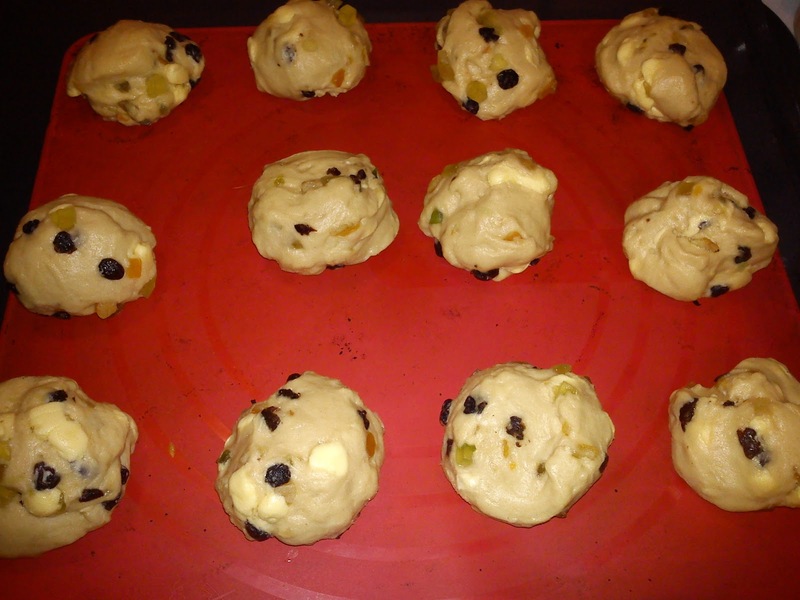 Fill the dough into a large muffin form. Bake in oven at 185'C for 20-25 minutes. 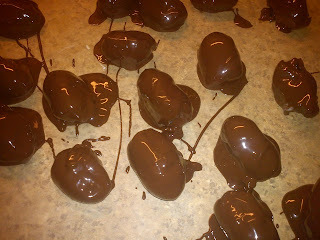 Another very, very easy recipe on Christmas candy, which will take you approx. 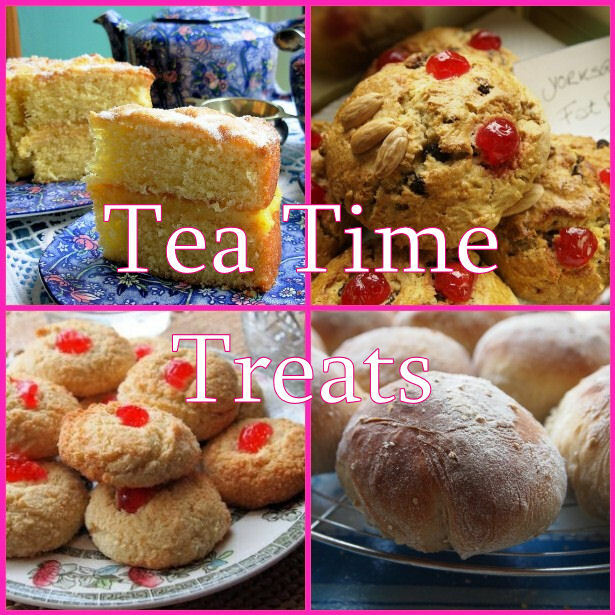 20 minutes to make. 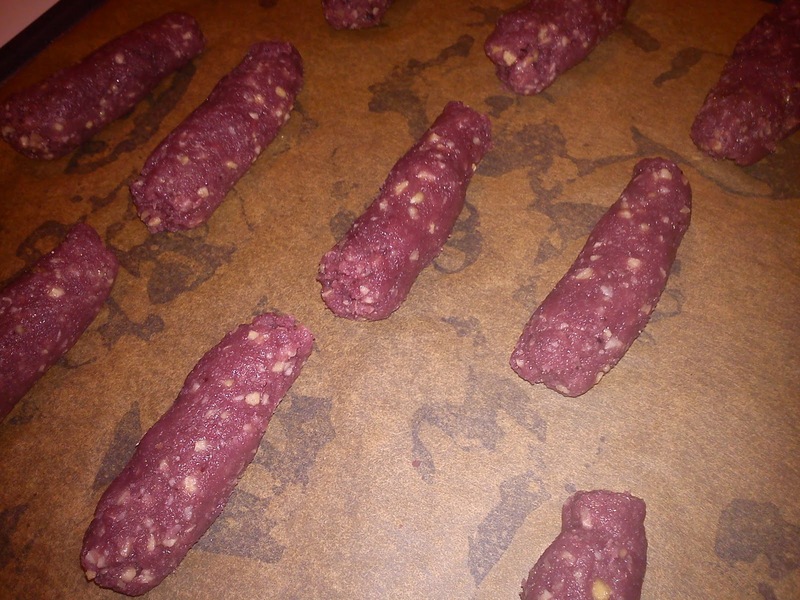 The only thing is, that you will get some very greasy finger from kneading all the ingredients together as well as making the oat flakes pellets. 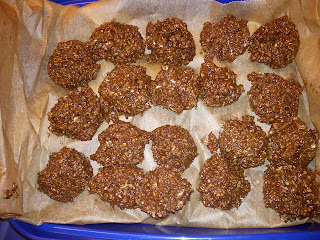 The fat content is very low in this recipe, as there is no chocolate in-side. And the fat content is 0.3% in the fromage frais. Knead all the ingredients together. Eat them within 1 week after "production"
well as roasted in a conventional oven. Please be aware of, that any damage to your Tupperware plastic thing is NOT covered by the usual Tupperware guarantee !!!! Place the almonds in the warn oven, and let them roast here for 5-10 minutes. 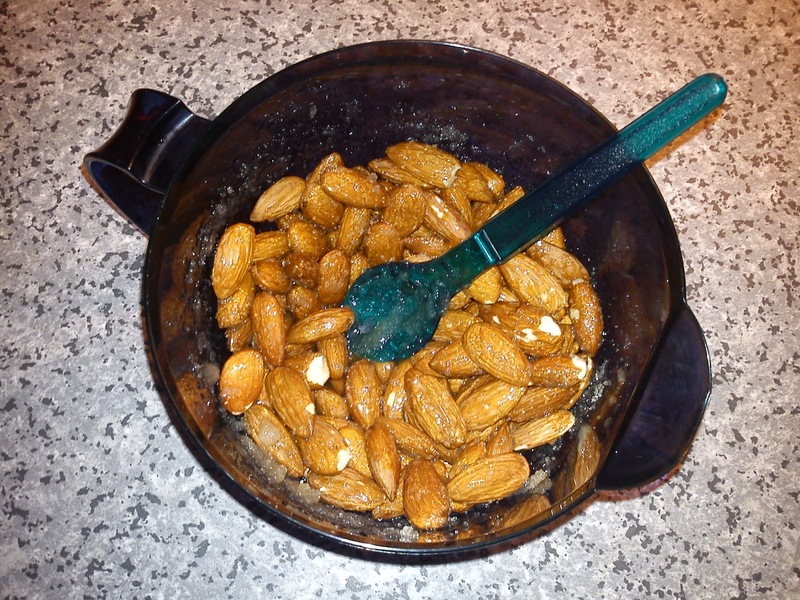 Place the almonds in glass jars, when the almonds are cold. The final Christmas confect recipe, where I am using marzipan. I still two more Christmas confect recipes to share with you, but they are without marzipan !!! This confect is also very. very sweet as I have added marzipan into the dates. 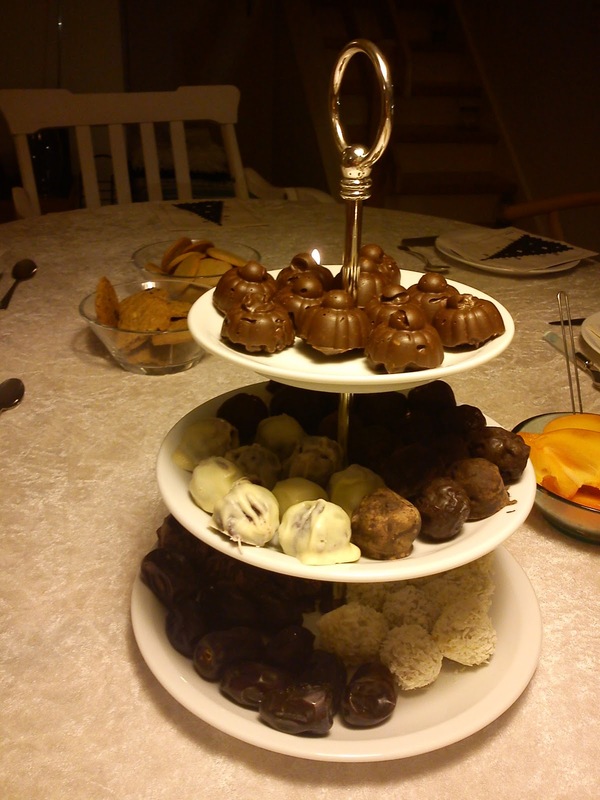 In order to balance the sweetness I have coated the dates in dark chocolate. 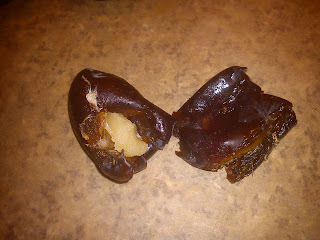 Another way of reducing the sweetness is to leave out the marzipan as filling in the dates. 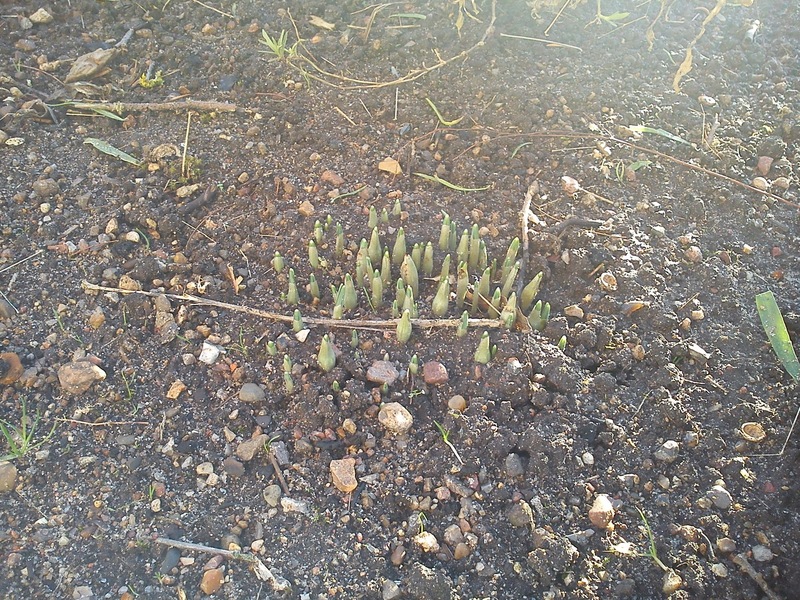 Remove the stone from the date. 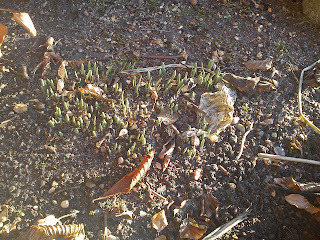 Fill the date with marzipan. 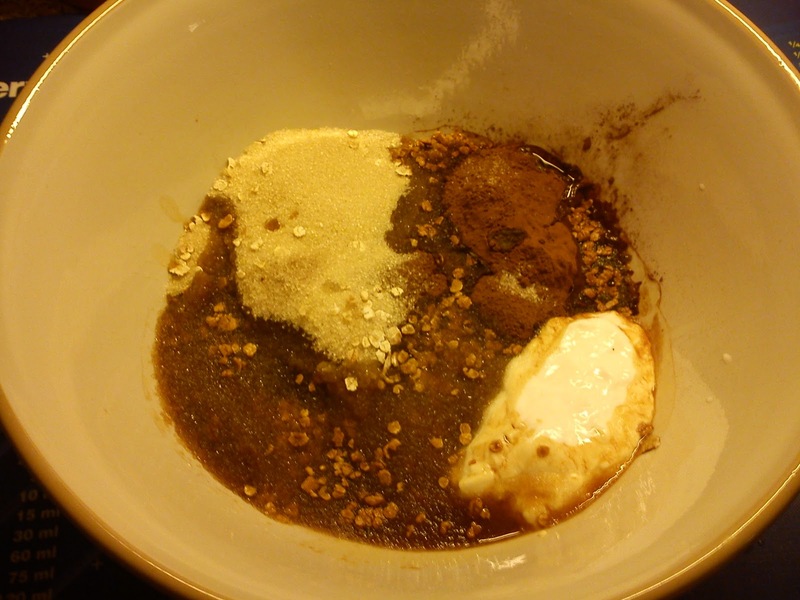 Melt the dark chocolate using the microwave oven. 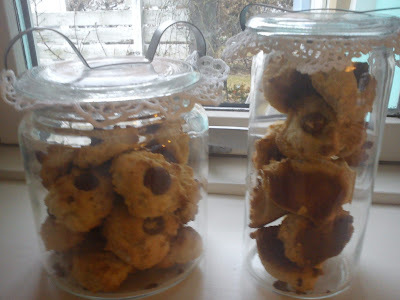 I am continuing with yet another Christmas confect recipe in order to my Estonia colleague request !!! This time it is "Snow Balls", which overall is a quiet sweet type of confect due to the combination of nougat, marzipan and white chocolate. If you would like less sweetness, I would suggest you to replace the coating with white chocolate with dark chocolate, however, when this confect does not look like a snow ball !!! I used 50 g nougat, as I was able to "finish up" the last un-used nougat. the amount of nougat to marzipan should not be bigger, as it would quiet difficult to cover the nougat part entire with marzipan. Cut the marzipan into 20 pieces of equal amount. 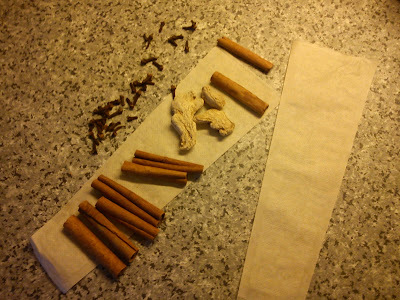 Cut the nougat into 20 pieces of equal amount. Cover the nougat with marzipan. 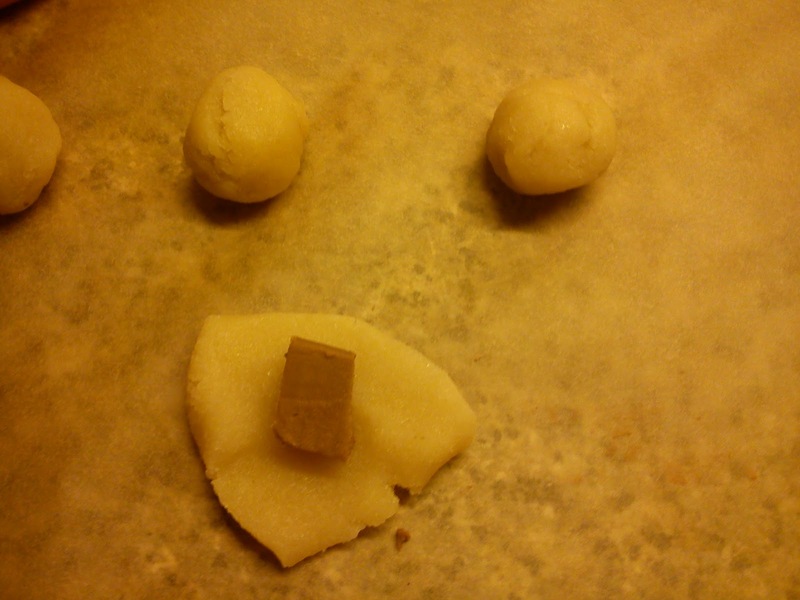 Form the marzipan into balls. 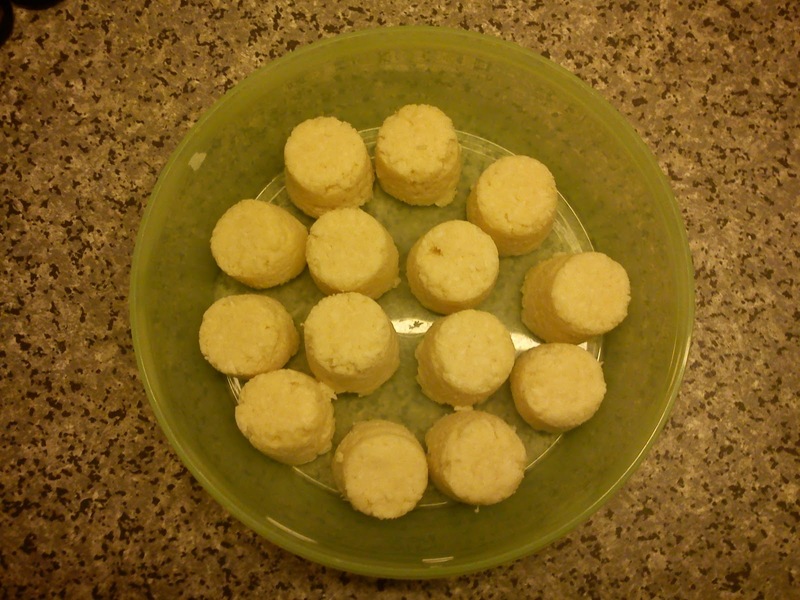 Melt the white chocolate using the microwave oven. 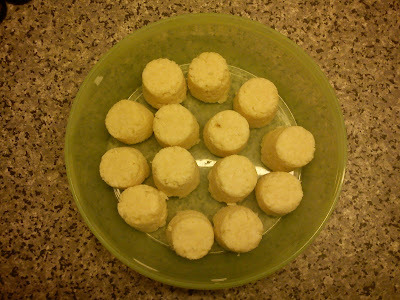 Coat the marzipan balls in white chocolate. Afterwards cover the marzipan ball in desiccated coconut, while the white chocolate still is wet. 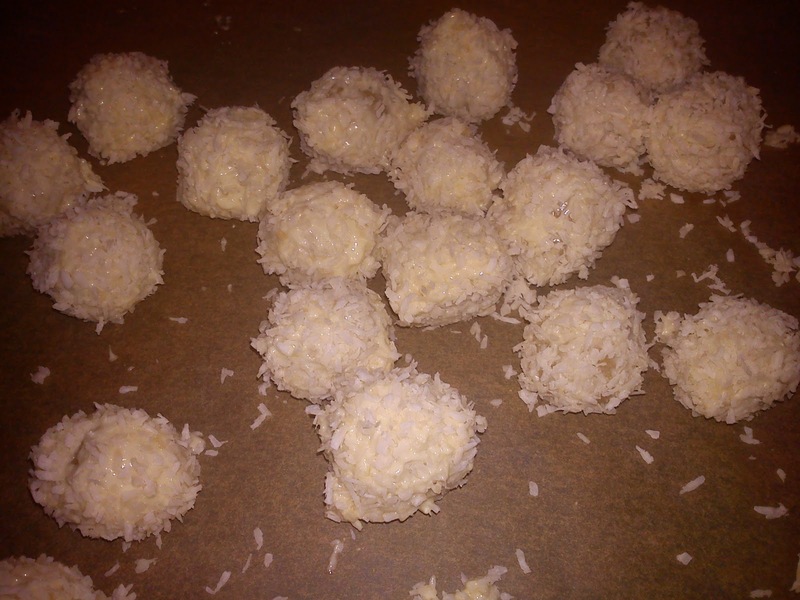 Below you can see a video of how you can roll the marzipan balls in the desiccated coconut. Here you can see, how to give the final touche to "Snow Balls"